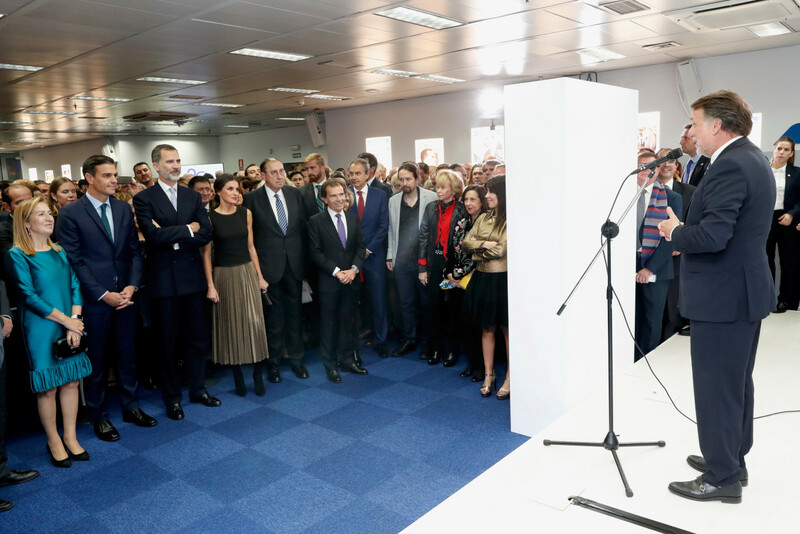 King Felipe and Queen Letizia on Monday attended the 20th anniversary of the newspaper “La Razón” at its Headquarters in Madrid. La Razón is a general information newspaper, founded in 1998. 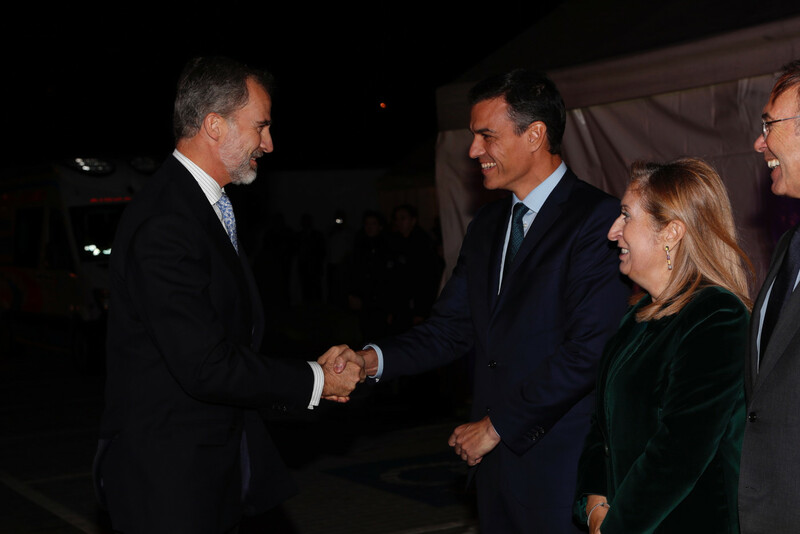 Upon arrival Felipe and Letizia were received by the Spanish Prime Minister Pedro Sánchez. The visit must be a trip down the memory lance. 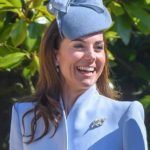 She herself was a prominent journalist before marrying into the Spanish Royal Family. 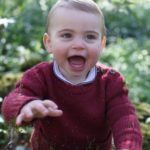 The royal couple toured the headquarters and met with the journalists and other working team of the newspaper. 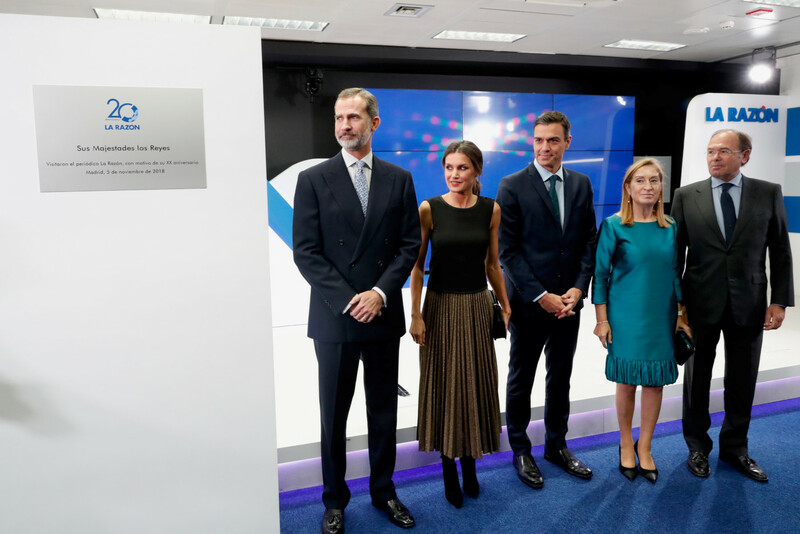 Felipe and Letizia were shown a video describing the history of La Razón and its evolution. A commemorative plaque was unveiled to mark the visit. 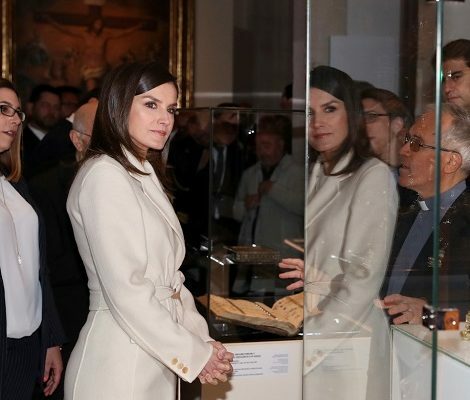 For the visit Letizia debuted a new look. She was wearing a sleeveless top by her go-to label Hugo Boss. 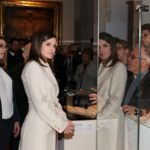 Letizia paired the top with a glittering metallic golden pleated midi skirt from Spanish label Zara. Upon arrival Letizia had her black wool long Carolina Herrera coat draped on her shoulder – A classic Letizia style. Letizia paired the dress with black suede Magrit Francesca long boots. She has the same boots in red colour in her wardrobe since 2017. 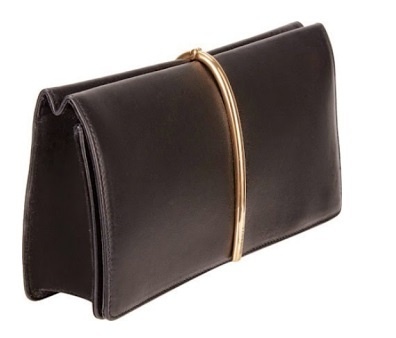 Queen carried black Nina Ricci Arc Clutch – an old element of her wardrobe. 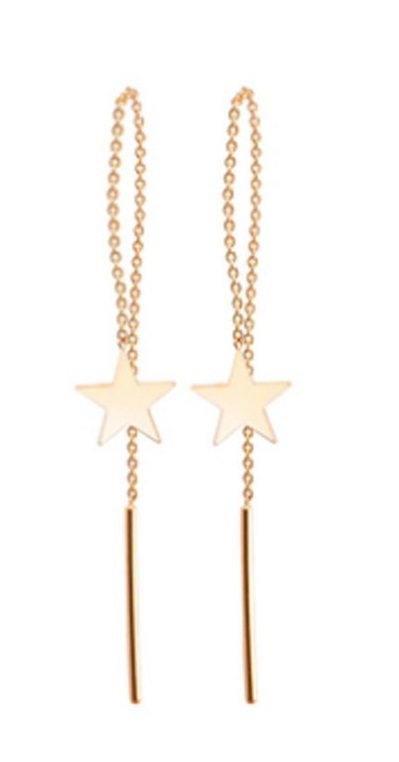 Her long chain yellow gold earrings featuring a star-shaped closure and a small golden ball from Gold & Roses finished her look of the day. 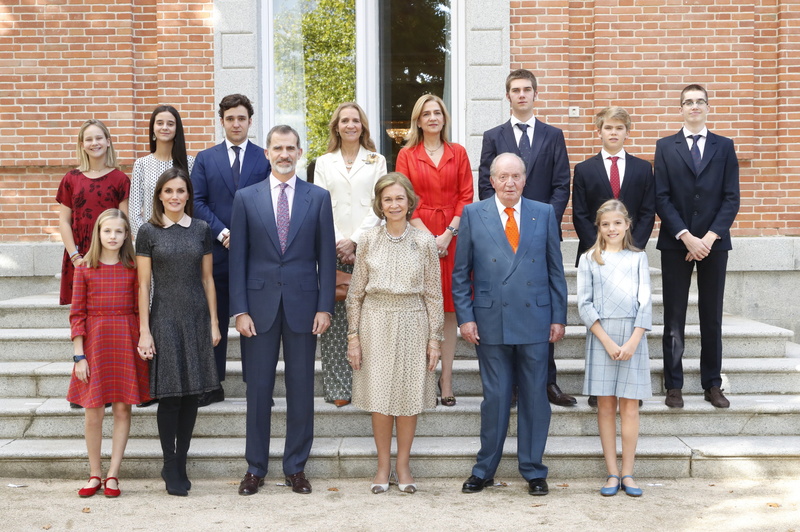 On Sunday Spanish Royal Family celebrated the 80th birthday of Queen Sofia. To mark the event, after a private celebration, Royal Court released a family portrait. Letizia wore a black wool peter pan collar dress with same black Magrit long knee length Francesca boots.